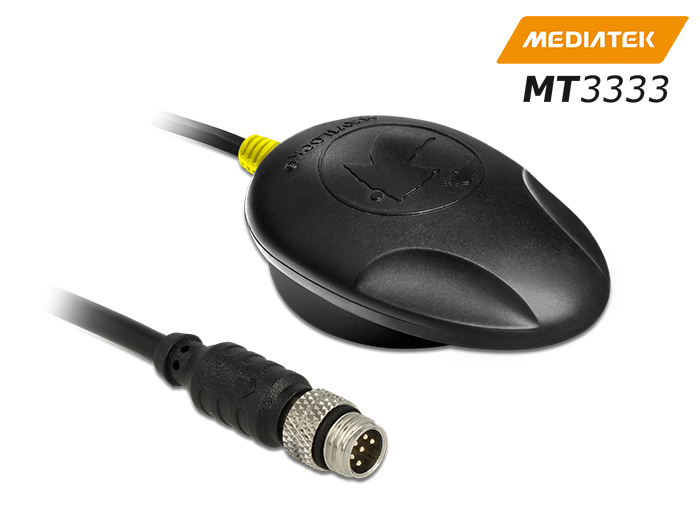 The M8 serial multi GNSS Receiver based on MT3333 chipset has a built-in antenna for high sensitivity. 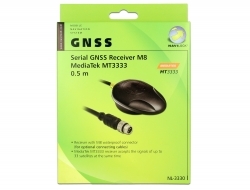 It is possible to use this GNSS receiver with a laptop and suitable routing software for navigation. The M8 universal connector is waterproof and enables the connection of optional connecting cables with many different connectors.